You trust El Reno RIL Credit Union to provide you and your family with quality products and services to meet your financial needs. 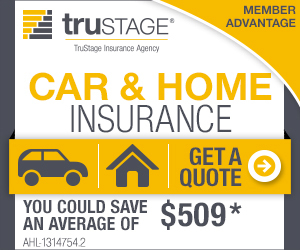 We’ve joined with a dedicated team of insurance professionals to bring you the truSTAGE Auto & Homeowners Insurance Program. 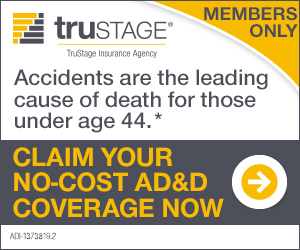 Accidental Death & Dismemberment Insurance, also called “AD&D,” is insurance coverage that pays a cash benefit in the event of a covered injury or death due to an accident. As a complimentary benefit of your credit union membership, your no-cost AD&D coverage is ready and waiting. Claim Your No-Cost Coverage Now!